Our signature guacamole, perfectly portioned and paired with crunchy, bite-size tortilla rounds. Let’s guac and roll! Classic Guacamole (Hass Avocados, Distilled Vinegar, Contains 2% or less of Water, Jalapeño Peppers, Salt, Dehydrated Onion, Granulated Garlic), Tortilla Chips (Corn Flour, Sunflower And or Safflower Oil, Sea Salt). 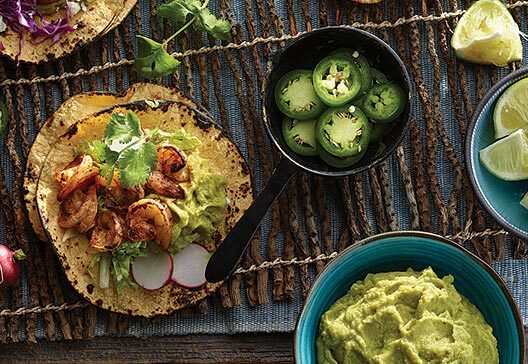 This will become your go-to Mexican shrimp tacos recipe for every time you crave tacos! 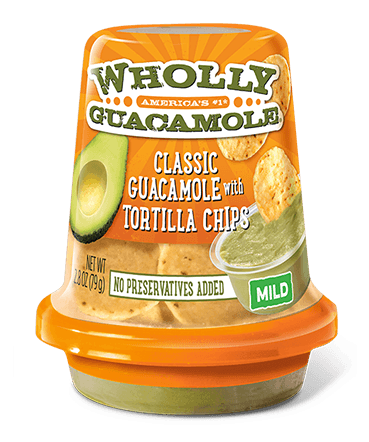 With smoky chipotle flavor and heaping guacamole in the center, it’s what you would find at a restaurant, in the comfort of home.